�Check out the schedule for our�Summer Fellowship Seminar Series. Jennifer worked last year with Junta for Progressive Action, Inc. on immigrant rights in the workplace by helping with the development of JUNTAs Worker's Center. Ultimately, the WorkerCenter at�JUNTA allows workers affected by abuses such as nonpayment of wages, discrimination, and unsafe working conditions to emerge as core leaders and stakeholders in the much needed responses to those�problems. This year Jennifer is working as the summer fellowship coordinator at Dwight Hall and her major responsibilities will include organizing our weekly meetings with community leaders and supporting the fellows work throughout the summer. As the Health and Wellness Intern at IRIS, Isabel will be working to� further develop IRIS integrated approach of advocating for patient� care, strengthening relationships with clients as she accompanies� them to their appointments, ensuring that local hospitals and� clinics are capable of conducting pro bono clinical evaluations of� patients, identifying existing programs for refugees, and�coordinating her work with local translators. Isabel also aims to establish women's groups within IRIS' programs. Joanna is coordinating the Summer Buds program, keeping it in� operation for a fourth successive year.� Joanna will be pairing approximately 35 rising 4th - 6th graders from one of three New Haven public elementary schools with a reading tutor and mentor for� an hour and a half, two nights each week.� The program runs every�Tuesday and Thursday night, 5:30-7:00PM, from June 3 - July 24th and meets in the SlifkaCenter, located at 80 Wall Street. Summer� Buds also hosts field trips, field days, movie nights, and many� other activities. Jeannette will work to expand Urban Resource Initiative's "GreenSkills" Program (which teaches job skills through city street- tree planting to at-risk high school students) to work with adult� populations. Such a work program would provide an important�environmental service to New Haven, and provide underserved� populations with job-training to break the cycle of unemployment,� addiction, and incarceration.� In particular, she will look at�possible collaboration with Crossroads, Inc. and other local substance- abuse treatment centers, correctional facilities, and alternative-to- incarceration program, and investigate sustainable sources of funding and various logistical designs based on existing programs around the�country. Efan aims to establish a new YHHAP project that will provide�assistance to homeless and at-risk families and individuals seeking� help in attaining government benefits. Such benefits could include�State-Assisted General Assistance (SAGA), Food Stamps, Emergency� Benefits, Supplemental Security Income (SSI/SSDI), and Social� Security.Efan developed her proposal prior to the sudden closure of� National Student Partnership's New Haven office.� Some portion of� her work this summer will likely include working with NSP's local� advisory board to reopen the organization and develop new long-term�institutional relationships to provide job and housing referrals to� a walk in clientele. Patrick is Morse College's Cahoon Summer Fellow, a position that� honors former Dwight Hall staffer Herb Cahoon through an endowed fund.� He will be working with IRIS to address health disparities in New�Haven's refugee population. Patrick has compiled a women's health�guide in Arabic, is working on similar versions in Spanish, Russian, and French. In addition to formalizing partnerships with local�agencies that provide health services to IRIS and studying the�experiences of refugees accessing healthcare in New Haven, Patrick� aims to create a formal network of experienced refugee mentors in�health-related topics. Drew is the Association of Yale Alumni's Community Service Summer� Fellow at the CT Job Corps Center in New Haven through sponsorship� from the Yale Club of New Haven.� The CT Job Corps program houses�150 residential students and another 50 non-residential students commute to and from the Center daily.� The center trains students to�become skilled workers in facilities maintenance, carpentry, health�occupations, stationary engineering, culinary arts, and advanced baking and pastry making. Drew will officially be working from June 8 - July 31. Learn more about the Dwight Hall Summer Fellowship. 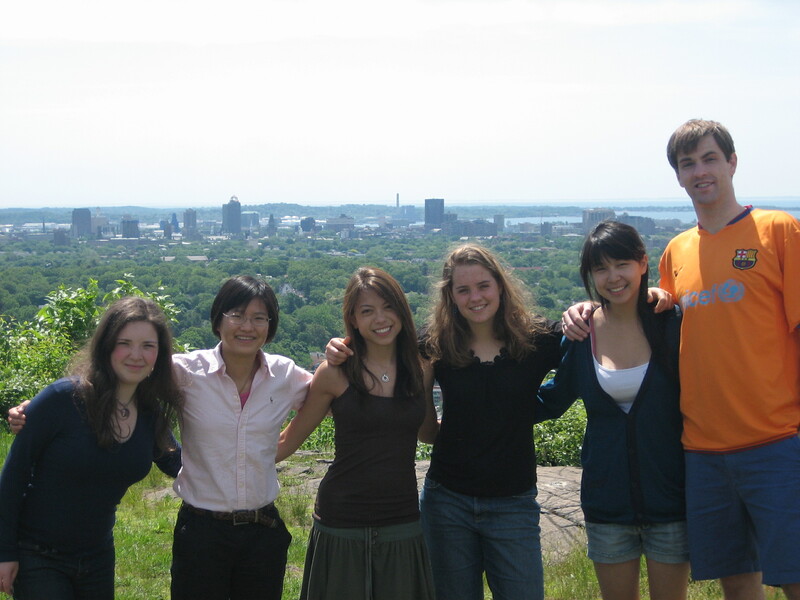 �Dwight Hall would like to thank the Yale Club of New Haven, Yale College Class of 1957, and Yale College Class of 1949 for their sponsorship and support of the 2009 Summer Fellowship.